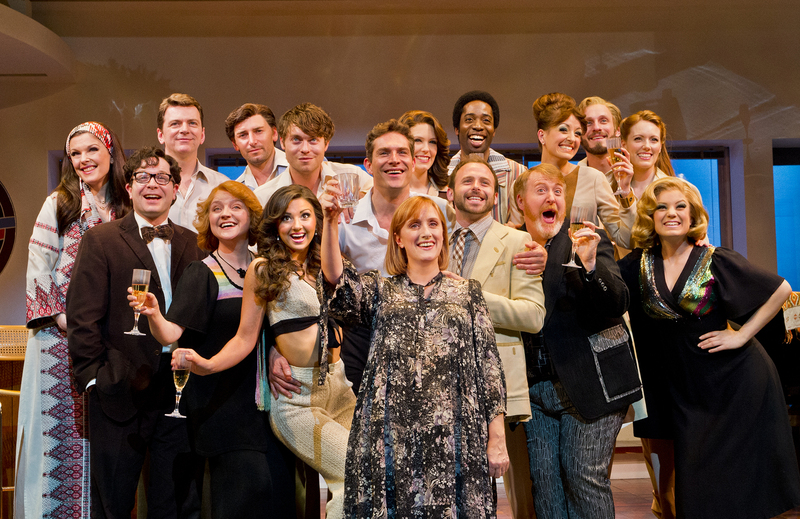 Following a sell-out run at the Menier Chocolate Factory, the stunning musical revival of Merrily We Roll Along by Stephen Sondheim and George Furth embarks on an exclusive 12 week season at the Harold Pinter theatre in London. 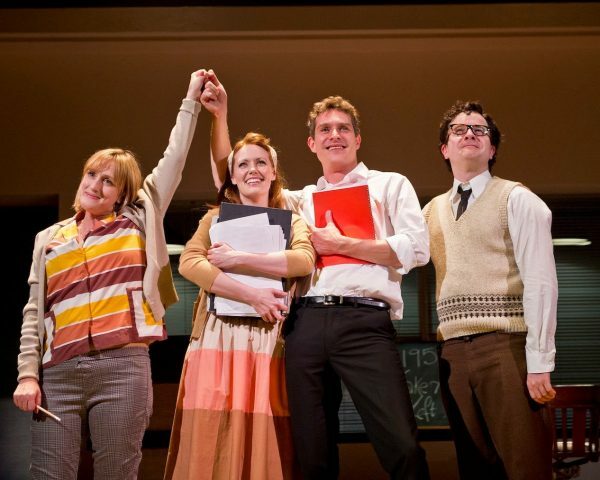 Set over three decades in the entertainment business Merrily We Roll Along charts the turbulent relationship between three friends Franklin, Charley and Mary. Starting in 1980 and travelling backwards in time (which is an unusual way for a show to run), this powerful and moving story features some of Sondheim’s most beautiful songs including ‘Good Thing Going’, ‘Not a Day Goes By’ and my personal favourite: ‘Old Friends’. 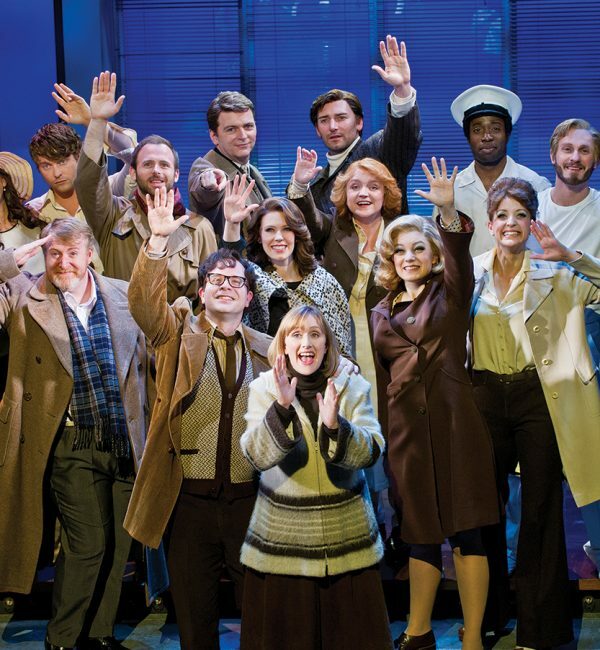 Triple Olivier award-winner Maria Friedman (herself an accomplished performer of Sondheim) makes an extraordinary directorial debut, with outstanding performances from a flawless cast, including Mark Umbers as Franklin, Damian Humbley as Charley and Olivier award-winner Jenna Russell as Mary. There’s a fantastic chemistry between Umbers, Humbley and Russell, the last of whom deploys heartiness to mask her unrequited love for Frank and has some hilarious lines. Josefina Gabrielle is gloriously icy yet wonderful as Franklin’s second wife, Gussie and provides a decisive through-line as a ruthless Broadway actress who sings a tremendously fun number with the ensemble: ‘The Blob’! Clare Foster shines with freshness as Franklin’s first wife, Beth and the way she sings ‘Not a Day Goes By’ is moving and beautiful to hear and brings out the true richness and brightness of Sondheim’s masterful score, in fact not since Bernadette Peters singing at “Sondheim: A Celebration at Carnegie Hall” have I heard such a stunning rendition, it was a throughly moving performance and did mean I had to bring out a tissue to dab my eyes! The show has already won the 2012 Critics’ Circle Best Musical award and this show is a must-see production amid the musical blockbusters this is an intelligent musical greatly welcome in the West End. 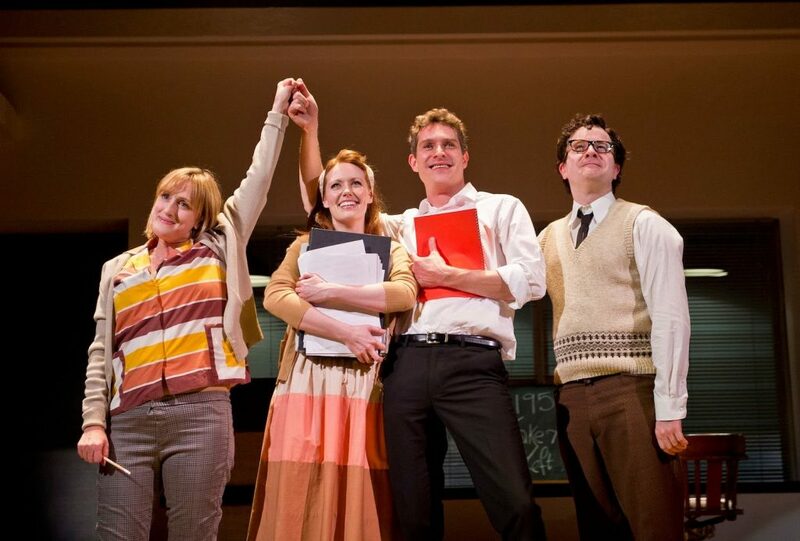 Strongly sung and confidently acted by leads and ensemble alike you leave the show merrily and it gets you right in the heart, right in the stomach and you won’t be able to stop thinking about it for ages. As the lyrics say in ‘It’s a hit’ the Harold Pinter Theatre has “got a sure-fire genuine walk away Blockbuster” on its hands. 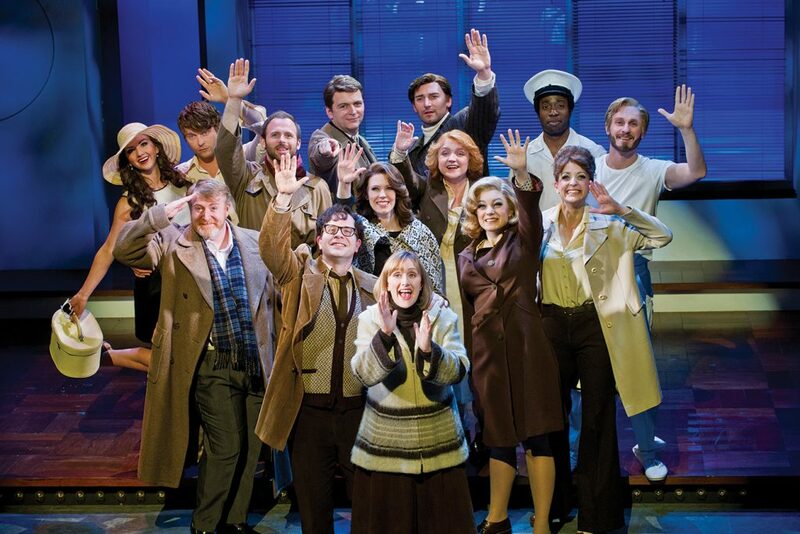 Merrily We Roll Along is showing for a limted 12 week period from the 23rd April. Tickets can be purchased at the Box Office or online.